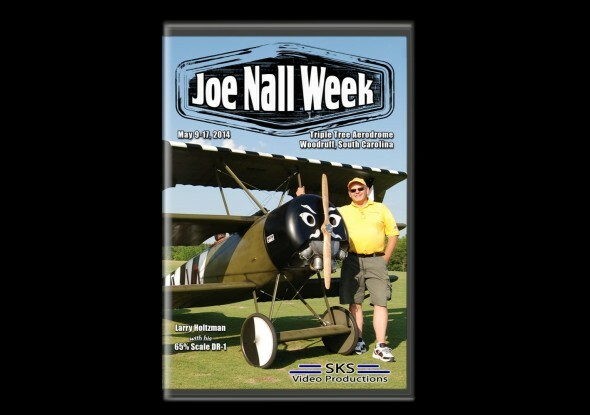 Joe Nall 2014 is without a doubt the largest Fun-Fly in the world. This week long event, held at the Triple Tree Aerodrome in Woodruff, South Carolina, attracted over 1400 registered pilots this year! Aircraft featured on the video include : David James’ Spad 7, Ken Spears’ Super Decathlon, Karl Goss’ Bamboo Bomber, Matt Balazs’ Futura jet, Carlos Rangel’s Taylor Craft on floats and two 65% scale DR-1 biplanes by Bill Hempel and Larry Hultman. Fantastic inflight footage from several planes is also included, as are highlights of the noontime show and a visit to the biggest barbeque in R/C Model Aviation. DVD Run Time: 102 – Minutes Blu-Ray 112 Minutes. 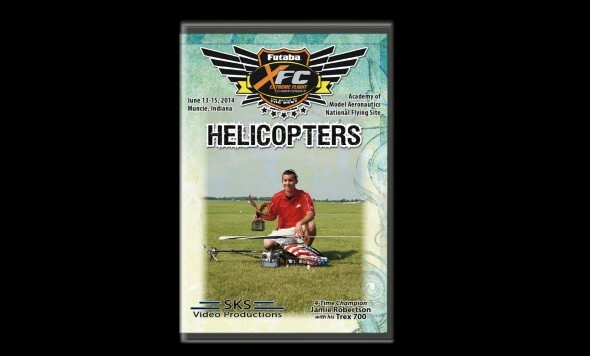 The 2014 Extreme Flight Championships is the MUST SEE event of the 2014 season! Extreme Performances and Extreme Machines SKS attended and once again provides professional coverage of the event, held at the Academy of Model Aeronautics headquarters in Muncie, Indiana. This year’s event hosted helicopter and airplane pilots from around the globe. Countries represented include Canada, Puerto Rico and the USA. The DVDs focus on the freestyle competitions and the new “Smack” rounds. Some of this year’s outstanding helicopter pilots included: Jamie Robertson, Nick Maxwell, Colin Bell, Kyle Stacy, Ben Storick and James Haley. Some of this year’s outstanding airplane pilots included: Gabriel Altuz, Jase “The Ace” Dussia, Spencer Nordquist, RJ Gritter and Devin McGrath. Heli Disk Run Time: 93 min. – Plane Disk Run Time: 101 min. Previous Team Futaba WOW’S at Nats!